A viceroy is a regal official who runs a country, colony, or city province (or state) in the name of and as representative of the monarch. The term derives from the Latin prefix vice-, meaning "in the place of" and the French word roi, meaning king. A viceroy's province or larger territory may be called a viceroyalty. The adjective form is viceregal, less often viceroyal. The term vicereine is sometimes used to indicate a female viceroy sua jure, although viceroy can serve as a gender-neutral term. Vicereine is more commonly used to indicate a viceroy's wife. The title was originally used by the Crown of Aragon, where beginning in the 14th century it referred to the governors of Sardinia and Corsica. After the unification, at the end of the 15th century, later kings of Spain came to appoint numerous viceroys to rule over various parts of the increasingly vast Spanish Empire in Europe, the Americas, and overseas elsewhere. In Europe, until the 18th century the Habsburg crown appointed viceroys of Aragon, Valencia, Catalonia, Navarre, Portugal, Sardinia, Sicily, and Naples. With the ascension of the House of Bourbon to the Spanish throne, the historic Aragonese viceroyalties were replaced by new Captaincies General. At the end of War of the Spanish Succession, the Spanish Monarchy was shorn of its Italian possessions. These Italian territories, however, continued to have viceroys under their new rulers for some time; Sardinia would have a viceroy until 1848. The viceroyalties of the Spanish Americas and the Spanish East Indies were subdivided into smaller, autonomous units, the Audiencias (Tribunal with the authority to judge), and the Captaincies General (military districts), which in most cases became the bases for the independent countries of modern Hispanic America. These units gathered the local provinces which could be governed by an either a crown official, a corregidor (sometimes alcalde mayor) or by a cabildo or town council. Audiencias primarily functioned as superior judicial tribunals, but unlike their European counterparts, the New World audiencias were granted by law both administrative and legislative powers. Captaincies General were primarily military districts set up in areas with a risk of foreign or Indian attack, but the captains general were usually given political powers over the provinces under their command. Because the long distances to the viceregal capital would hamper effective communication, both audiencias and captains general were authorized to communicate directly with the crown through the Council of the Indies. The Bourbon Reforms introduced the new office of the intendant, which was appointed directly by the crown and had broad fiscal and administrative powers in political and military issues. The title of Viceroy being awarded to members of the nobility, Viceroys, Governors and Governing Commissions were many times interleaved until the last Viceroy Afonso, Prince Royal of Portugal, in 1896. From 1505 to 1896 Portuguese India – the name "India" and the official name "Estado da India" (State of India) including all Portuguese possessions in the Indian Ocean, from southern Africa to Southeast Asia and Australasia, until 1752- was governed either by a Viceroy (Portuguese Vice-Rei) or Governor from its headquarters, in Goa since 1510. The government started six years after the discovery of sea route to India by Vasco da Gama, in 1505, under first Viceroy Francisco de Almeida (b.1450–d.1510). Initially, King Manuel I of Portugal tried a power distribution with three governors in different areas of jurisdiction: a government covering the area and possessions in East Africa, Arabian Peninsula and Persian Gulf, overseeing up Cambay (Gujarat); a second one ruling the possessions in India (Hindustan) and Ceylon, and a third one from Malacca to the Far East. 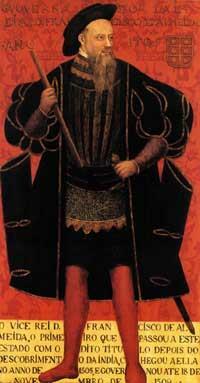 However the post was centered by governor Afonso de Albuquerque (1509–1515), who became plenipotentiary, and remained so. The duration in office was usually three years, possibly longer, given the power represented: of the thirty-four governors of India in the 16th century, only six had longer mandates. During some periods, between 1580 and 1640, the King of Portugal, who was also King of Spain, appointed Viceroys to govern Portugal itself, as the king had multiple realms throughout Europe and delegated his powers to various viceroys. From 1858 until 1947, the chief British government official and representative of the British monarch in India was styled the "Viceroy and Governor-General of India". Initially an official operating primarily under the auspices of the British East India Company during the 18th century, under the Government of India Act 1858, the office of Viceroy became an official part of the British Government. Thenceforth, the Viceroy was appointed by the British Sovereign to oversee the administration of the British Raj and to conduct relations with the quasi-independent Princely States of India. The Viceroys reported directly to the Secretary of State for India in London and were advised by the Council of India. The Viceroys were largely unencumbered in the exercise of their authority and were among the most powerful men on earth in the Victorian and Edwardian eras, ruling over an entire subcontinent and with a large military force at their disposal in the form of the British Indian Army. Under the terms of the Government of India Act 1919, Viceroys shared some limited aspects of their authority with the Central Legislative Assembly, one of the first steps of reform as India progressed towards home rule under the Government of India Act 1935, independence as a Dominion in 1947, and ultimately the declaration of a republic in 1949. Alongside the Commander-in-Chief, India, the Viceroy was the public face of the British presence in India, attending to many ceremonial functions as well as political affairs. As the representative of the Emperors and Empresses of India, who were also the Kings and Queens of the United Kingdom of Great Britain and Ireland, the Viceroy served as the Grand Master of the two principal chivalric orders of British India: the Order of the Star of India and the Order of the Indian Empire. During the office's history, the Governors-General of India were based in two cities: Calcutta during the 19th century and New Delhi during the 20th century. Additionally, whilst Calcutta was the capital of British India, the Viceroys spent the summer months at Simla. The two historic residences of the Viceroys still stand: the Viceroy's House in New Delhi and Government House in Calcutta. They are used today as the official residences of the President of India and the Governor of West Bengal, respectively. The portraits of the Governors-General still hang in a room on the ground floor of the Presidential Palace, one of the last vestiges of both the Viceroys and the British Raj. Notable Governors-General of India include Lord Curzon, The Earl of Minto, Lord Chelmsford, and Lord Mountbatten. 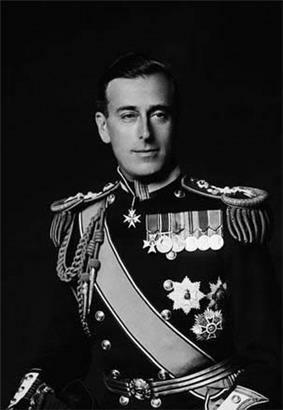 Lord Mountbatten served as the last Viceroy of British India, but continued on as the first Governor-General of the dominion of India. The term has also been occasionally applied to the Governors-General of the British Dominions. In practice the Governor General of Canada, the Lieutenant Governors of the Canadian Provinces and the Governors-General of Australia and Governors of the Australian States are not viceroys, although the term is sometimes used. Namestnik (Russian: наме́стник, Russian pronunciation: ) was an office position in the history of the Russian Empire. It can be translated as "viceroy", "deputy", "lieutenant" (the broader sense of that word) or literally in place appointee. The term has two periods of usage, with different meanings. Namestnik replaced the obsolete position of voyevoda (ruler of krai or uyezd) by Peter I. New France, in present Canada, after a single Governor (24 July 1534 – 15 January 1541 Jacques Cartier) had Lieutenants-general and Viceroys 15 January 1541 – September 1543 Jean François de la Rocquet, sieur de Robervalle (b. c.1500–d. 1560), after September 1543–3 January 1578 Abandonment again 3 January 1578 – February 1606 Troilus de Mesgouez, marquis de la Roche-Mesgouez (d. 1606) (viceroy and from 12 January 1598, lieutenant-general), February 1606 – 1614 Jean de Biencourt, sieur de Poutrincourt, baron de St. Just (b. 1557–d. 1615); next a series of Viceroys (resident in France) 8 October 1611 – 1672, later Governors and Governors-general. From the earliest medieval period in the Kingdom of Croatia, the position of viceroy was held by Ban of Croatia who acted as king's representative in Croatian lands and supreme commander of Croatian army. In the 18th century, Croatian bans eventually become chief government officials in Croatia. They were at the head of Ban's Government, effectively the first prime ministers of Croatia. The last ban held his position until 1941 and the collapse of Yugoslavia in WWII. In cultures all over the continent of Africa, the role of viceroy has been subsumed into a hereditary noble as opposed to appointive administrative position. In the Arabo-Berber north, for example, the title of Khalifa is often used by individuals who derive their authority to rule from someone else in much the same way as a viceroy would. Elsewhere, subordinate inkosis under the rule of a paramount chief like the King of the Zulu Nation of Southern Africa or subordinate baales in the realms of the reigning obas of West African Yorubaland continue to occupy statutorily recognized positions in the contemporary countries of South Africa and Nigeria as the customary representatives of their respective principals in the various areas that are under their immediate control. The khedive of Egypt, especially in the dynasty initiated by Muhammad Ali Pasha (1805–1848). This officer established an almost autonomous regime in Egypt, which officially still was under Ottoman rule. Although Mehemet Ali/Muhammad Ali used different symbols to mark his independence from the Sublime Porte, he never openly declared himself independent. Adopting the title of viceroy was yet another way to walk the thin line between challenging the Sultan's power explicitly and respecting his jurisdiction. Muhammad Ali Pasha's grandson, Ismail Pasha, subsequently received the title of Khedive which was almost an equivalent to viceroy. The post of Tổng Trấn (governor of all military provinces) was a political post in the early of Vietnamese Nguyễn Dynasty (1802–1830). From 1802, under the reign of emperor Gia Long, there were always two Tổng Trấn who directly ruled Vietnam's northern part named Thành Long (Hanoi and surrounding territories) and the southern part named Gia Định (Saigon and surrounding territories) while Nguyen emperors ruled only the middle part named Vùng Kinh Kỳ (Huế and surrounding territories). Tổng Trấn is sometimes translated to English as viceroy. In 1830, emperor Minh Mạng abolished the post in order to increase the imperial direct ruling power in all over Vietnam. During the Han, Ming and Qing dynasties, there existed positions of viceroys having control over various provinces (e.g., Liangguang = Guangdong and Guangxi, Huguang = Hubei and Hunan). ^ "viceregal". Retrieved 22 November 2014. ^ a b "vicereine". Retrieved 22 November 2014. ^ Nath, Aman, "Dome Over India", India Book House Ltd. ISBN 81-7508-352-2. ^ This article incorporates material from the public domain 1906 Brockhaus and Efron Encyclopedic Dictionary. ^ a b Kli͡uchevskiĭ, V. O. (Vasiliĭ Osipovich); Duddington, Natalie. (1994). A course in Russian history—the seventeenth century. Armonk, N.Y.: M.E. Sharpe. ^ Larin, A. K. (2004). Gosudarev namestnik : istoricheskai͡a povestʹ o M.N. Krechetnikov. Kaluga: Zolotai͡a allei͡a. ^ : namestnik"rono.ru"h. Retrieved 19 January 2010. ^ Ledonne, John P. (January–March 2002). "Administrative Regionalization in the Russian Empire 1802–1826" 43 (1). Cahiers du Monde russe. pp. 5–33. Retrieved 19 January 2010. ^ Judith Mary Upton-Ward, H.J.A. Sire. "24. The Priory of Vrana". The Military Orders: On Land and by Sea. p. 221. ^ Philip Taylor (2004), Goddess on the rise: pilgrimage and popular religion in Vietnam, University of Hawaii Press, p. 36. Andrada (undated). The Life of Dom John de Castro: The Fourth Vice Roy of India. Jacinto Freire de Andrada. Translated into English by Peter Wyche. (1664) Henry Herrington, New Exchange, London. Facsimile edition (1994) AES Reprint, New Delhi. ISBN 81-206-0900-X.